Sometimes you experience that the water flow in your sink faucet is slowing down over time, uneven or maybe it’s spraying/splashing water all over the sink. Then it’s properly time to clean the sink faucet aerator. An aerator is a small filter insert typically located at the tip of the sink faucet. The main functions of an aerator are to create an even and non-splashing water flow, and to conserve the water use, and reduce the energy costs, by mixing the water with air. Normally, before the water is coming out of the tap is has been going through kilometers (miles) of pipes, water treatment systems, heaters, pipe connections, valves and so on. Of course these constructions have been built with a good sanitary design. 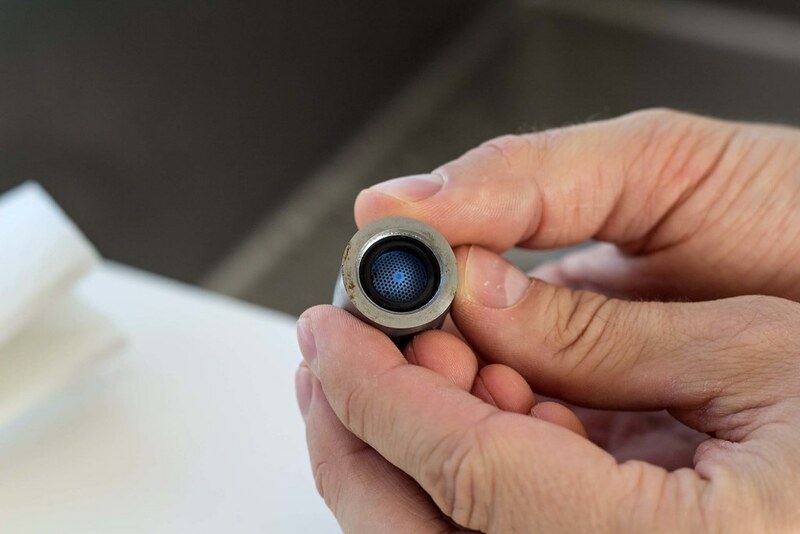 However, it’s almost impossible to avoid that small pieces of rust and rocks find its way through all these systems and finally end up blocking your sink faucet aerator. 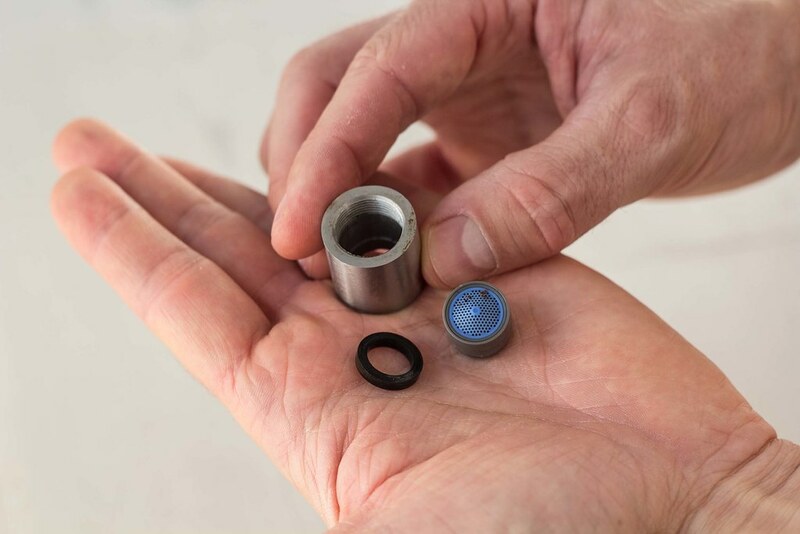 This simple guide describes how to disassemble a sink faucet filter/aerator and clean it. 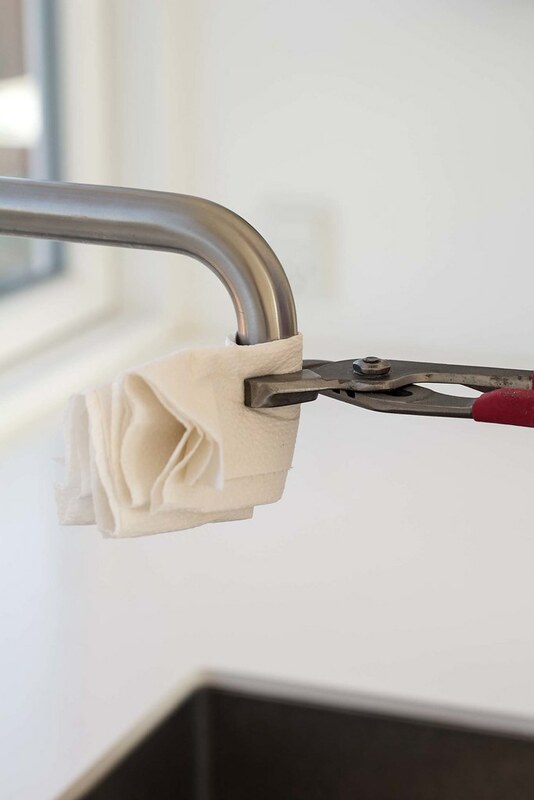 Step 1: Start by wrapping some masking tape around the faucet aerator or on the jaws of the groove-joint pliers. 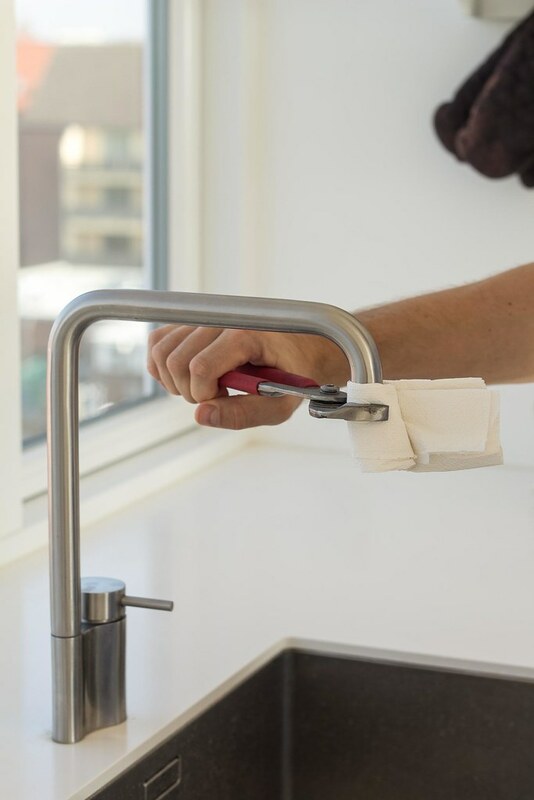 You can also just wrap a cloth between the groove-joint pliers and the faucet aerator. This way you don’t make any marks or scratches on the faucet when you screw off the aerator. Step 2: Use the groove-joint pliers to turn the aerator clockwise and loosen it. When it’s loosen, use your fingers to screw it completely off. Step 3: Disassemble the aerator. It normally consist of an outer part, a filter and a gasket. You would usually find tiny rocks and rust pieces in the filter part. 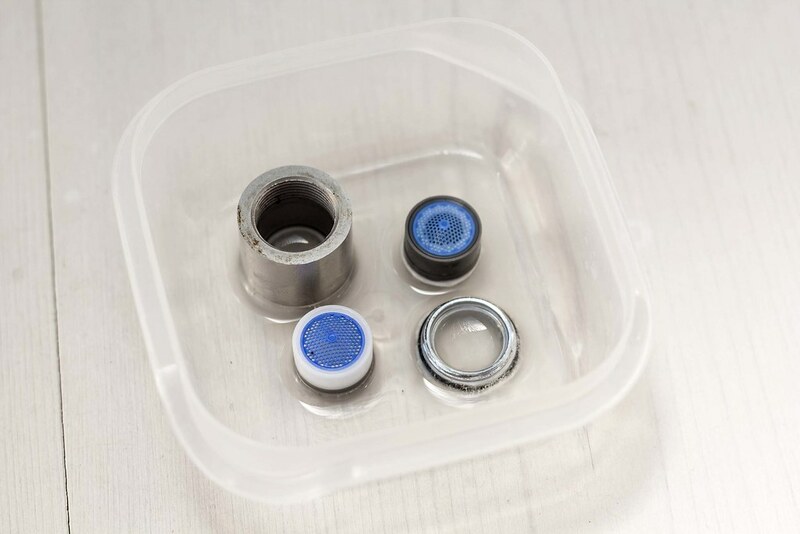 Rinse all the parts in water but be careful not to drop the small parts into the drain. You can with advantage use a toothbrush to clean the filter. Step 4: If you live in a country with a high lime/calcium content in the water, like we’ve in Denmark, then soak the parts in a white vinegar or a lime dissolver solution. Over time lime will built up inside the aerator and slowly block the water flow. Step 5: Reassembly the cleaned aerator. Step 6: Screw the aerator back on the sink faucet using your finger. Use the groove-joint pliers to finally tighten it. And you are done. Now you would experience that the water flow is more nice and even. Remember to clean the aerator once every year and you should be all fine. This article are awesome i really like reading it.